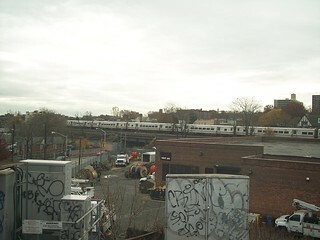 Approaching from the Hell Gate Bridge we see an LIRR train on the Main Line. 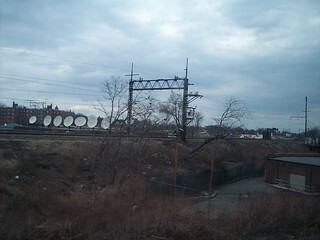 From the LIRR we see Amtrak's Northeast Corridor. 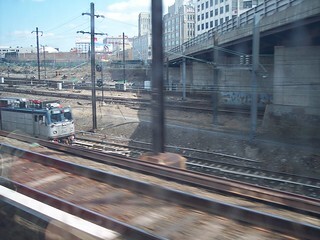 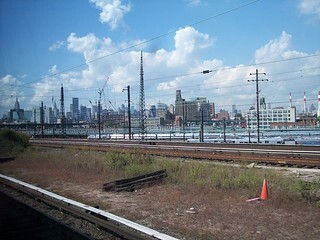 After the lines combine we see the Sunnyside Yard with Manhattan beyond on one side and an Amtrak train heading for Penn station on the other side. 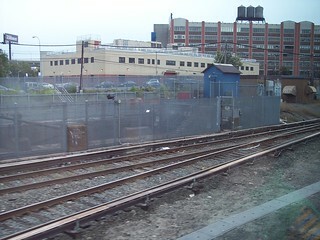 Just before Hunterspoint Avenue the tracks split, with some staying above ground and heading for Long Island City, some entering the tunnels under the East River to Penn Station (barely visible through the fence), and some heading south to the Lower Montauk Branch.